Palestine-based Vidmass has raised pre-seed investment from Palestinian VC Ibtikar Fund and Saudi’s Vision Ventures, Ibtikar Fund announced in a statement today. The details of deal were not disclosed. Founded last year by Abdulhameid Alfayoumi, Vidmass makes it easy for individuals and organizations to create videos using its web-based tool. The startup wants to enable SMEs throughout MENA to create animated videos that could be used for sales and marketing efforts. What makes Vidmass different from many similar tools available in the market that it supports Arabic. There are hardly any online video makers out there that support Arabic. 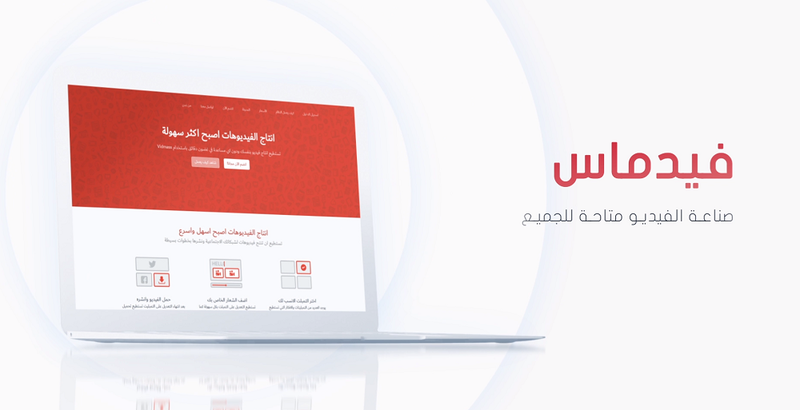 “Anyone can log on to Vidmass, choose a template from our library, personalize it with their logo, brand’s colors, images, and messages, and upload it throughout their social media platforms within minutes,” said Abdulhameid Alfayoumi, Co-Founder and CEO of Vidmass, explaining about how their tool works. Anyone wanting to use the tool can buy the subscription for $10/month. It could be pretty useful for the marketing teams at startups and SMEs who normally outsource this to freelancers or agencies – both of which are way more expensive than a $10 subscription. Video consumption has been increasing all around the world but this growth is even higher in some countries of Middle East & North Africa. Saudi Arabia, for example (along with Turkey) is the leading country by the percentage of users who watch online video content, with 95% of its internet users watching online video content on different devices. With the increase in consumption, it has become one of the biggest mediums for sales and marketing efforts for online marketers. Some estimates suggest that 87% of the online marketers use video content. Vidmass wants to become the go-to tool for such marketers in the Arab world enabling them to create videos for promoting their products and services without spending too much time or money on them.